As a parent, you only want the best for your child. However, a recent report published by the nonprofit group Kids in Danger (KID) shows that many of the most popular children's products pose serious safety risks. KID analyzed product recall data from the U.S. Consumer Product Safety Commission (CPSC) for 2016. The group discovered a total of 76 children's products recalled, accounting for over 66.8 million units of product. This was a 12% increase over the number of recalls in 2015. Although many parents would expect companies to act quickly when there are safety concerns associated with a product, this is often not the case. Before the recalls were listed, there were reports of 4,842 incidents, 394 injuries, and seven deaths. The location of the manufacturer can also factor into the safety of the product. For example, there are legitimate reasons to be extra cautious when giving Chinese made toys to young children. Studies have shown high levels of lead paint as well as subpar manufacturing in many toys made in China. Dollar and discount store toys are often the most common offenders. Whenever you have any doubts about the safety of an item, it's best to err on the side of caution and dispose of it. The 2008 Consumer Product Safety Act (CPSA) implemented mandatory standards for children’s products, but evidence suggests that plenty of manufacturers are still marketing potentially dangerous items to children. Register big ticket items such as cribs, strollers, and car seats, so the company has a way to contact you if the product has been recalled. Be active on social media. Manufacturers are increasingly turning to social media to get the word out about product recalls. The KID report found that 60% of manufacturers used Facebook and other social media sites to educate parents and caregivers about recalls. Sign up on the Kids in Danger website to receive recall notifications by email. If you purchase used items or receive hand-me-downs for your child, search for recall information on the SaferProducts.gov website before allowing your child to use the item in question. 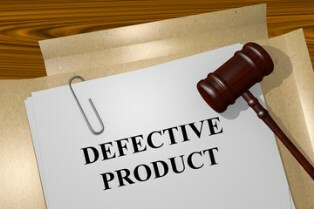 Product recall procedures vary depending on the type of product and severity of the defect. However, it's common for consumers to be asked to stop using the product immediately and to contact the company for a repair, replacement, or refund. Manufacturers have a legal responsibility to ensure that their products are safe and effective. If your child is harmed by unsafe furniture, toys, clothing, or personal care products, you can seek compensation on his behalf. Damages can include medical expenses, pain and suffering, and loss of future earning potential if the injuries have left your child permanently disabled. Neblett, Beard & Arsenault is committed to helping Louisiana residents who've suffered harm due to defective products receive the compensation they deserve. Contact us online or call us directly at 318.588.6303 to schedule a free, no-obligation case review.